According to USA’s legislation Bourbon whiskey shall be produced at less than 160° proof (80% vol. alcohol) from a fermented mash of no less than 51 percent corn, and stored at no more than 125° proof (62,5% vol. 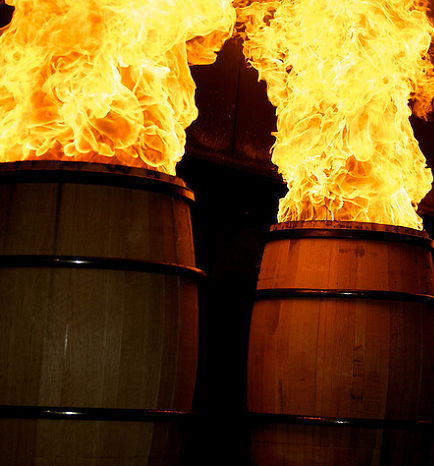 alcohol) in charred new oak containers; and also it can also include mixtures of such whiskies of the same type.